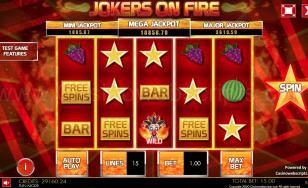 Welcome to your own casino where you can enjoy the delight of your favorite game, while playing Multiplayer Baccarat Mobile. 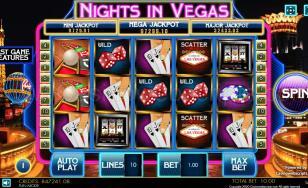 This is one of people’s favorite games and it’s played at the most extravagant casinos all around the world. It is a game that comes from Italy and it features three commonly met versions: North American baccarat, baccarat banque and baccarat chemin de fer. The beauty of playing is that it does not imply any strategy or winning chances because it is simply a game of chance. While playing, if you are lucky you win, if not, you lose; it is as simple as that. 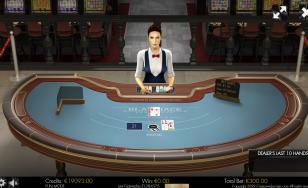 Also, there are no necessary skills, since the players’ moves are dictated by the cards received from the dealer. However, despite the fact that Classic Baccarat is not a strategy game, and there is nothing the players can do to increase their winning chances, it is an extremely popular game. 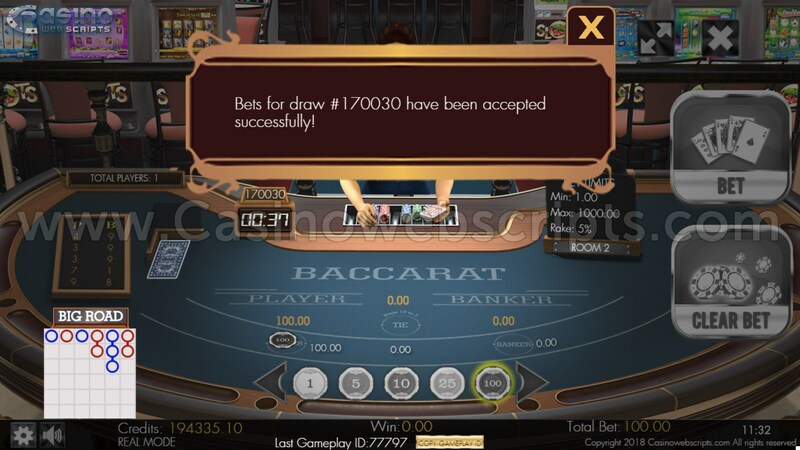 Likewise, while playing Multiplayer Baccarat Mobile, you will be able to enjoy great graphics and pleasurable features that make the gaming a fabulous recreational activity. Are you feeling lucky? Then wait no more, ask for your cards and let’s hope for the best. In just a matter of minutes you can easily double your earnings. 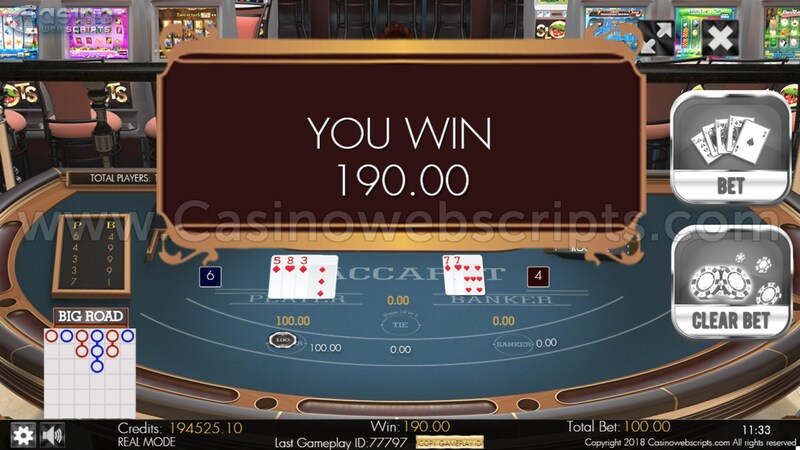 If you bet on the player and the player wins, your bet pays 1 to 1. If you bet on the banker and the banker wins, your bet pays 1 to 1 minus 5% bank commission. If both the player"s hand and the banker"s hand have equal totals, the game result is a "tie". If you have placed a bet on the tie result, your bet pays 8 to 1. Non-tie bets are returned to you if a tie occurs. An Ace is counted as 1. The cards from 2 through 9 have their face values. 10, Jack, Queen, and King are counted as 0. 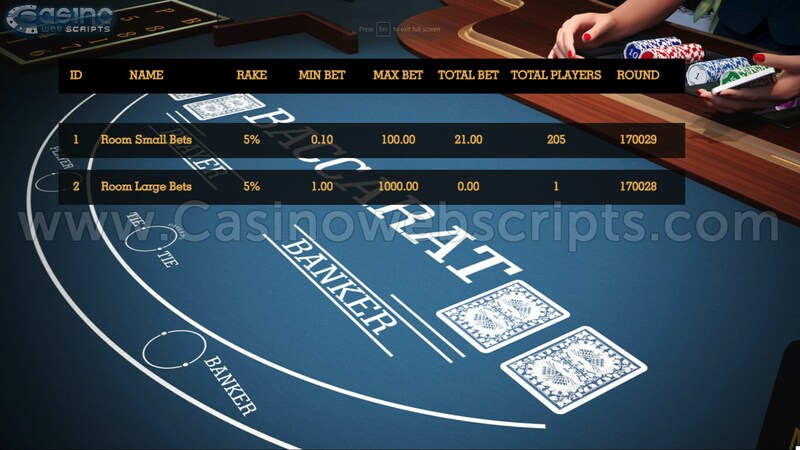 If either Player"s hand or Banker"s hand totals 8-9, the hand is called "Natural". In this case, both the Player and the Banker must stand. If the Player has an initial total of 0-5, the Player draws a single card. If the Player has an initial total of 6 or 7, he stands. If the Player hasn"t drawn a card, the Banker draws if he has 0-5, and stands if he has 6-7. If the Player has drawn a 2 or 3, the Banker draws if he has 0-4, and stands if he has 5-7. If the Player has drawn a 4 or 5, the Banker draws if he has 0-5, and stands if he has 6-7. If the Player has drawn a 6 or 7, the Banker draws if he has 0-6, and stands if he has 7. 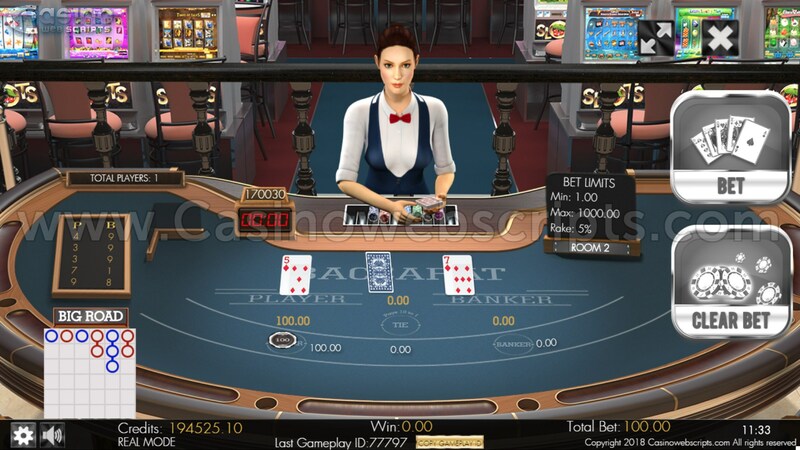 If the Player has drawn an 8, the Banker draws if he has 0-2, and stands if he has 3-7. The current game is multiplayer and allows all the players to place bets at the same time and to see the same game outcome when the timer runs out. The player can submit a BET by placing the chips on the table and then clicking BET or by placing the chips on the table and waiting until time reaches 00:10. After a BET has been submitted, it cannot be cancelled, it cannot be modified and no further bets can be placed until a new round will begin. The winnings are awarded to all the participants after the cards have been dealt. The game keeps track of various scores using the scoreboards displayed at the bottom left of the screen. 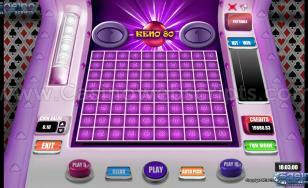 Upon clicking on the scoreboard, the player will be taken to a screen that displays all the available scoreboards. By clicking on any of the available scoreboards, that scoreboard will be set as active scoreboard and it will be displayed at the bottom left of the main game screen. To close the scoreboards screen, either click on GO BACK or double-click on any scoreboard to select it as active and close the screen. 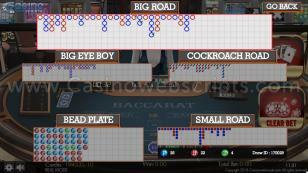 The available scoreboards are: Big Road, Bead Plate, Big Eye Boy, Small Road and Cockroach Road. Each cell in the BEAD ROAD represents the result of a past round. A solid red cell indicates a Banker win. A solid blue cell represents a Player win. A solid green cell represents a Tie. In the BIG ROAD, a new entry is added each time when a gameplay round ends. 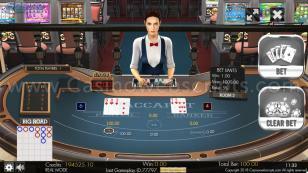 A new column is created each time the Banker’s winning streak changes in favour of the Player, or vice versa. A circle outlined in red indicates a Banker win. A circle outlined in blue indicates a Player win. A Tie is recorded as a green line through the circle for the preceding round. If the first round is a Tie, the green line will appear first, and the red or blue outline will appear around the line once the Player or Banker wins a round. If there are two or more consecutive tie rounds, the number on the center will show the number of ties. If the streak is too long and it cannot go down any further, then the circle will be added on the right of the last streak and it will form "a dragon". 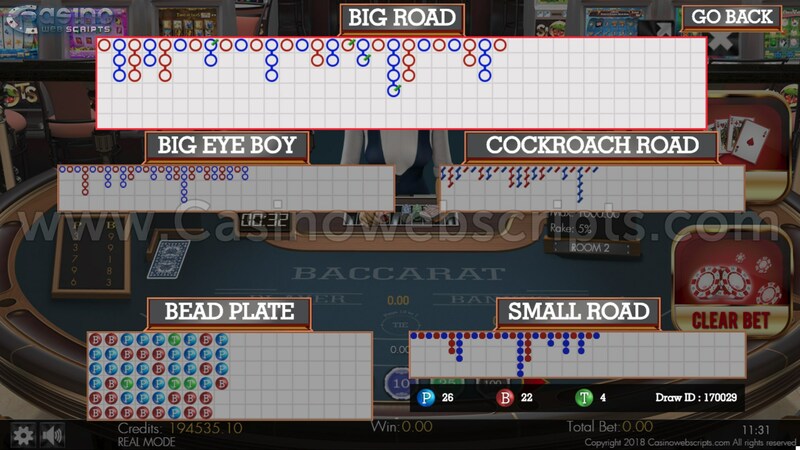 The Big Eye Road, Small Road and Cockroach Road are meant to display patterns derived from results recorded in the BIG ROAD. The Big Eye Road uses outlined circles, the Small Road uses solid circles, and the Cockroach road uses slashes. However, in these derived roads, the colors red and blue do not correspond to Banker and Player wins, and there is no way to discern ties or pairs. In derived roads, red entries are a sign of repetition, whereas blue entries signal a more unpredictable shoe.